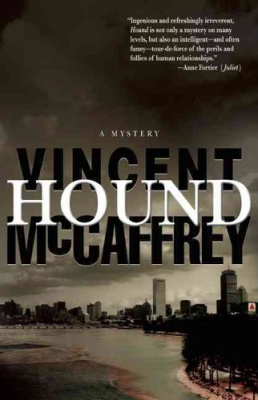 In his second bibliomystery, Boston bookhound Henry Sullivan has a new girlfriend, a new apartment, and a shelfload of troubles. Chaucer said “It is nought good a slepyng hound to wake.” Henry Sullivan, bookhound, is ready to be that sleeping dog: to settle down in his new apartment and enjoy life with his new girlfriend. But the underside of the literary world won’t let him go. 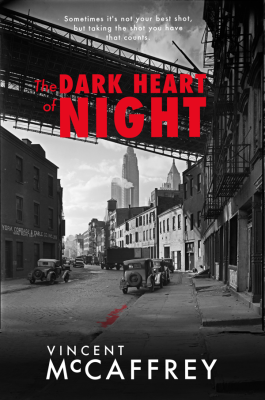 A bookscout sells Henry a book—and is murdered later that night. An old friend asks him to investigate a case of possible plagiarism involving a local bestselling author. To make matters worse, his violinist neighbor seems to have a stalker. And wherever Henry goes, there’s a cop watching him. Henry can read the signs: to save those he loves he has to save himself. The books were like corpses, the ink of lost dreams dried in their veins. On a bad day, Henry Sullivan felt like a mortician salvaging the moldering flesh of small decaying bodies to be preserved for a proper burial. But, on a good day, though there seemed to be fewer of those of late, he might save something which left him giddy. Henry pulled the second box free from a mat of cat hair and dust beneath the bed, and peeked beneath the lid. The foul odor of the mattress too close to his face, made him swallow the word along with the impulse to gag. Those rare sheets were sold now to the highest bidder, but they were a part of the romance Henry imagined about himself. It was still his belief that long before Foucault and Derrida, when words still offered a common meaning, the world could be changed by the content of a few fragile pages. And this was why Henry Sullivan loved his job. And this happened every once in awhile, more often to him than others he thought, because he had a nose for it. Henry pushed a broom hand into the depths of the crevice below the bed frame. Again he heard the hollow strike on a box. . . .